Some people network only when seeking a job. For others, networking is a challenge because they either don’t understand it or see its value, or simply dislike the idea of greeting strangers and striking up a conversation. 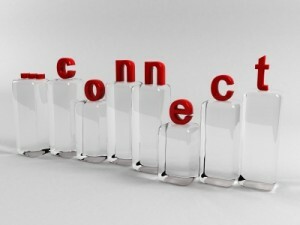 At Dale Carnegie Training we help “non-networkers” to realize that networking is a process that takes place over time. And if done effectively, their ultimate goals will be met with less effort and greater satisfaction. Networking can help you find job opportunities, but the actual landing of a new job normally goes to those who have effectively built relationships, which takes some time and effort. Therefore, integrate networking into your routine whether you are job seeking or not. There are normally “back table” sales at a networking event as well as other networkers looking to sell their products and services to attendees. However, don’t let this turn you away. Simply avoid the back table, and move away from people who are obviously only trying to sell something. The whole point of networking should be to forge new relationships. Not true. Many different types of events exist, such as professional development, structured networking, social and charitable. In addition, events exist that focus on niche industries, demographics and like-minded professionals. While it may appear that all networking events are alike, people usually have the same goals at a targeted event. All types of personalities—both introverted and extroverted—attend networking events. All it takes is good listening skills, good conversation, and the willingness to start building relationships. Don’t feel shy about approaching others. While you may be taken out of your comfort zone at an event, others are there for the same reason and it provides a great place to brush up on your people skills. Networking will give you back what you put into it. To make the most of your time, have a networking goal in mind and strategically focus your time and effort so you can reach your objective. Decide on the types of people you want to meet and then research to find the right events. Decide how many events you want to attend and what type of events work best for you. Once you overcome these common myths about networking, you will feel more comfortable with it and understand the important role it can play in your business and personal success.